“Reagan: The Life” by H.W. Brands was published in 2015. Brands is a professor at the University of Texas, a prolific author and a two-time Pulitzer finalist. He has written nearly thirty books on a wide range of historical topics including biographies of Andrew Jackson, Ulysses Grant, Theodore Roosevelt and FDR (each of which I have previously read and reviewed). The first full-scale biography of Reagan in over a decade, this 737 page book contains 114 chapters organized into seven major sections. But while its heft could intimidate some readers, Brands’s narrative is extremely articulate and free-flowing. Very few presidential biographies of comparable length are this easy to read. Brands devotes about one-third of the book to Reagan’s pre-presidency. But the narrative sweeps too briskly through his childhood – about a page per year – moderating somewhat when the aspiring actor moves to Hollywood. The pace still feels rushed during Reagan’s eight-year stint as governor of California and only slows appreciably when he is fully enmeshed in presidential politics. The book ends with about three-dozen pages that review his retirement, Alzheimer’s diagnosis and political legacy. It is clear from the outset that Brands is friendly to his subject, but he seems intent on maintaining a sense of balance throughout the text. While he consistently compares Reagan favorably to Franklin Roosevelt (Reagan’s early presidential idol), Brands rarely fails to take the shine off his subject’s halo when warranted. Perhaps more than any other biographer I’ve encountered, Brands goes to extraordinary lengths to provide historical context for his subject’s life and actions. The reader is seldom unaware of the economic, political or social backdrop associated with moments described in this book. But he sometimes provides so much context that Reagan becomes peripheral to the narrative. Of the numerous excellent moments in this book, ones of particular note for me include the discussion concerning allegations that the Reagan campaign interfered with efforts to free the Iranian-held hostages, the chapter devoted to Robert Bork’s Supreme Court nomination, the chapters covering the Reykjavik summit and the periodic references to tension between Donald Regan and various members of the administration (including Nancy Reagan). But for all its strengths Brands’s biography falls short in several areas. First, the authior often injects lengthy quotations and portions of transcripts into the narrative. This can be distracting on its own, but since he has a penchant for letting Reagan speak for Reagan, it often leaves an impression that Brands is just observing rather than analyzing and critiquing. 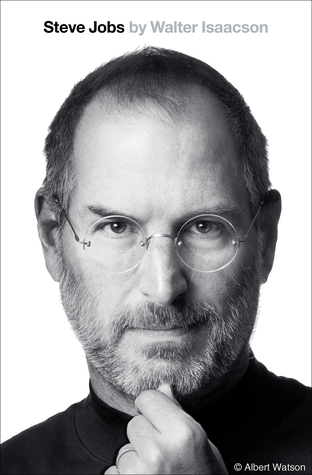 This biography is generously replete with stories, anecdotes and on-the-scene reporting. But few of these tales will break new ground for readers familiar with Reagan. In addition, the narrative’s focus during his presidency can be quite inconsistent. Brands’s excellent coverage of the Reykjavik summit, for example, fills more than thirty pages…while Reagan’s response to apartheid receives a single paragraph. Brands also conspicuously under-reports the influence which religion had on Reagan’s life. Having recently read several biographies of Jimmy Carter (which highlighted the role Carter’s faith played in his life), the man who Brands describes in this biography seems almost…agnostic. Finally, despite its impressive length this book feels surprisingly light and fails to provide as many penetrating observations and keen perspectives as I would have expected from Brands. Overall, H.W. 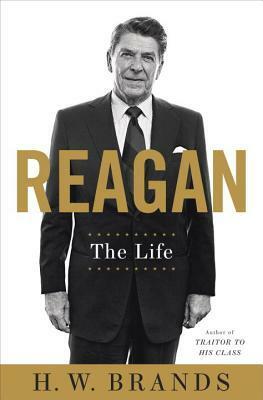 Brands’s “Reagan: The Life” provides a wonderful starting point for readers seeking a comprehensive introduction to the life and legacy of the 40th president. It is fast-moving and remarkably engaging, but often proves a better history text than biography. And for all its merit, this book never quite delivers the richly-hued and penetrating portrait of Reagan it seems to promise. My impression of HW Brands’s books is that he doesn’t do much research with primary sources and mainly synthesizes existing secondary sources, and therefore he doesn’t usually break much new ground. That’s not necessarily a bad thing, but I’m curious to know whether you’ve found this to be the case. Excellent review! You hit on some of the exact same points I did in my own review, with the most apparent being Brands’ inexplicably glossing over the role of faith and religion in Reagan’s life. No mention of his religious childhood, or “That Printer of Udell’s” which had an enormous impact on Reagan. Brands didn’t mention religion or faith until page 405, if I recall correctly. I also used the Apartheid example in my own review, since that was the shortest topic addressed at less than half a page. I got the impression that Brands mirrored Reagan’s priorities in the amount of space he devoted to various topics. Foreign policy and the economy, Reagan’s primary areas of focus, seemed to be Brands as well, while Brands also devoted little attention to those peripheral issues Reagan did. Overall, great review! There’s still many more interesting things you’ll learn about Reagan’s life in your future readings that Brands wasn’t able to fit in his narrative, especially regarding his early years and years in Hollywood. Yes, I was delighted not to have missed too much that you noted in your review. The issue of Reagan’s religious faith was particularly notable for me since I had just read the Carter biographies which consistently noted the overwhelming influence his faith had on his life and his politics. So although I wasn’t expecting to see the issue to be quite as prominent in a Reagan biography, I was surprised when it almost seemed an after-thought. I read Brands’ treatment of Teddy Roosevelt many years ago and didn’t care for it. The only other book of his I read was his Ben Franklin bio, which I don’t recall enjoying that much either. It reminds me that no matter the subject matter, if the biographer doesn’t capture me with his or her writing style and treatment of the factual material then it’s very hard for me to pick up another book of his. Frankly there are too many other biographers to explore and give my attention to. For me, Brands is in a “second tier” of biographers whose books I (almost) always enjoy but rarely (…never…) love. If I had to guess, I attribute it to the fact that he churns out so many books that he’s unable to invest the time necessary to turn “good” biographies into “great” ones. My favorite biographers tend to be a lot less “productive” than Brands, but what they write is always phenomenal. Brands isn’t a favorite of mine, either. He’s a competent writer with a good sense of narrative, but a fairly shallow historian who rarely delves beneath the surface of his subject’s life and thoughts the way a biographer should. I haven’t read the Reagan book yet but Steve’s thoughts and Mr. Jensen’s as well echo my feelings on the other Brands books I have read. I’ll probably give this one a pass.